ONCE described as “beautiful but dead,” Paseo de Marianas came alive yesterday as hundreds of students, their parents, teachers and school principals decorated 15 Christmas trees with recycled materials in a competition organized by the non-profit group Paseo de Marianas Promoters. Rep. Absalon Waki, Covenant-Saipan, Paseo de Marianas Promoters manager Misako Kamata, Beautify CNMI!’s Angelo Villagomez and Fiesta Resort & Spa Hotel general manager Jackson Yen are the judges in the contest. Fourteen schools and a youth center participated in the contest, and the judges watched the participants decorate their trees until they finished at 6 p.m. The winners will be announced on Dec. 21. 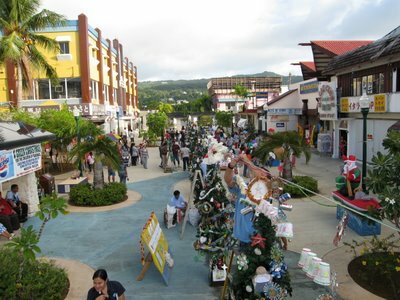 The Christmas decoration contest is among the activities of the Paseo de Marianas Promoters which aims to transform the area into a family-oriented commercial park. During yesterday’s competition, Koblerville Elementary School students, parents and teachers used egg shells as Christmas balls, CDs, and cups to decorate their tree. Kagman Elementary School used aluminum soda cans, empty water bottles, soft drink straws, and sticks. The Guerrero T. Camacho Elementary School’s tree was decorated with paper, cardboards, styrofoam and water bottle caps. Some teachers from the participating schools said it took them three days to conceptualize their entries. Teachers said they were happy to see parents actively involved in the competition. - San Antonio Beach on Saturday at 8am. Volunteers are asked to use Aguas Street (road between the school and PIC). The cleanup will head north toward Chalan Piao. This event is the monthly DEQ cleanup brigade. “Want to be famous? We will be filming our first Beautify CNMI! commercial at this event,” said Beautify CNMI! 's Angelo Villagomez. - Garapan Tourist District on Sunday at 8am. Participants will meet in the parking lot of the American Memorial Park. 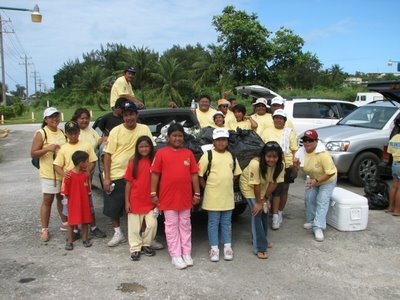 This is Beautify CNMI's third cleanup of the tourist district. It is being led by volunteer group MOVER. - Navy Hill Lighthouse on Sunday at 10am. “You asked for it, you got it. Dr. Khorram’s daughter, Nava, asked us if we could clean this historical area up. How could I say no? We are going to pick up trash, remove some weeds, and if allowed, paint over some graffiti,” said Villagomez. Over the summer, Kinney and Nava Khorram learned how to collect water samples using tools from the Stream Team. This year, one of the elementary student’s service projects will be volunteering for that group. They will be monitoring and collecting samples from designated streams in Garapan and turning those water samples in for testing at the DEQ. 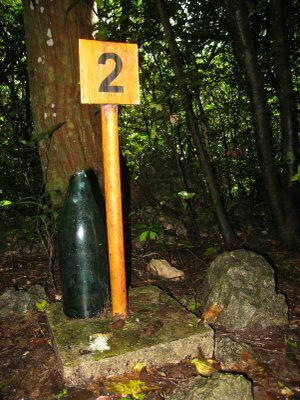 They will also plant trees and collect trash around our adopted streams. 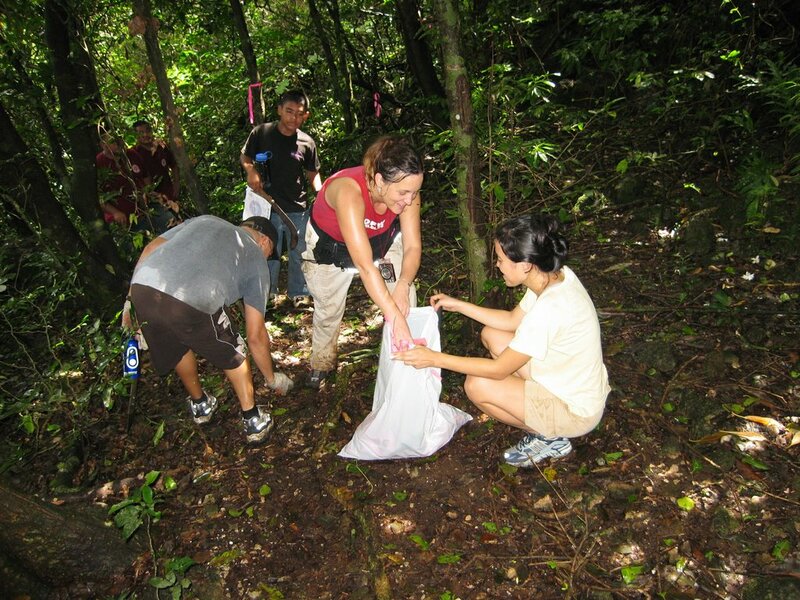 The Stream Team is a new volunteer organization dedicated to monitoring and improving the quality of the water flowing off the land and into the ocean around Saipan. We have been throwing around the idea to restore the Navy Hill Lighthouse for a few months now, but we always came up with an excuse to ignore it. Recently Nava asked her Dad to ask us to take the lighthouse on as one of our projects. He relayed her request to me over the weekend. Nava helped me collect water samples over the summer, so how could I say no? 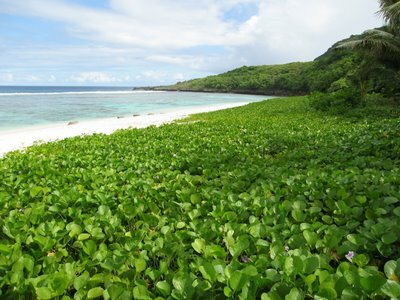 Nava Khorram is the Beautify CNMI! volunteer of the week. Thank you, Nava, for providing the spark to get this worthy project underway. It took a kid...sorry, young adult to get us to finally do something. Now you have to prove your Volunteer of the Week status by bringing all of your classmates to the restoration event this weekend! For those of you not on the Beautify CNMI! mailing list, this weekend we will be cleaning up garbage, clearing weeds, and possibly painting over graffiti and planting trees in the area in and around the Navy Hill Lighthouse. We will meet at the lighthouse Sunday, December 3 at 10:00 AM. The only thing you need to bring is two friends. Beautify CNMI! will provide all the tools. Beautify CNMI! will also participate in the DEQ Cleanup Brigade at San Antonio Beach Saturday at 8:00 AM and the MOVER Garapan Tourist District Cleanup Sunday at 8:00 AM. Last Sunday the Unity Lion's Club cleaned up the beach and road between Quartermaster and 13 Fishermen. They also donated bright yellow garbage bins. 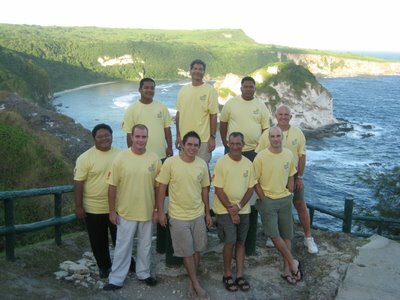 Clockwise from far left: Gus Kaipat, Kyle Kaipat, Ken Kramer, Dennis Cabrera, Carl Brachear, Tim Lang, Steve Hiney, Angelo Villagomez, and Ian Catlett pose for the Real Men Calendar. 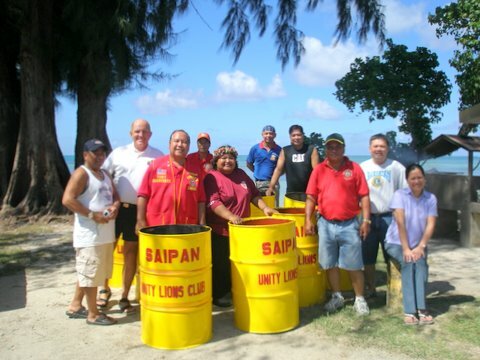 Pacific Islands Club Saipan completed their first official Adopt-a-Beach clean up this month(they've been doing cleanups on their own for years). 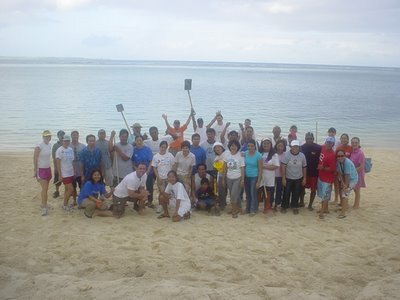 43 volunteers started bright and early to make the beach in San Antonio look it's best. MOTIVATED by the cleanups of Beautify CNMI! 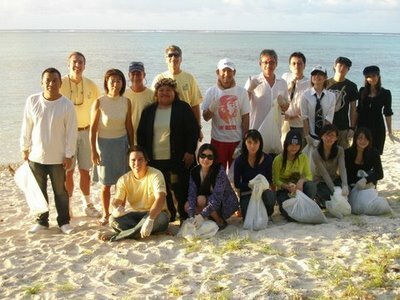 and Japanese volunteers on island, a famous Japanese actor led several actors and actresses and the entire production crew from Japan in cleaning up Paupau Beach on Monday. Coming all the way from the Saipan International Airport, Ishibashi Tamotsu, whose filmography includes “Aito Yu No Motoni”, along with 12 other actors and actresses and 13 crew members doing a location shoot on island, joined Pacific Eagle and Beautify CNMI volunteers in an effort to keep the island clean. Aside from Kaipat and Villagomez, Ken Kramer, Steve Hiney, Capt. Carl Brachear, Pacific Eagle’s Aya and Willie Matsumoto, James Davis, among others, were seen at the site. 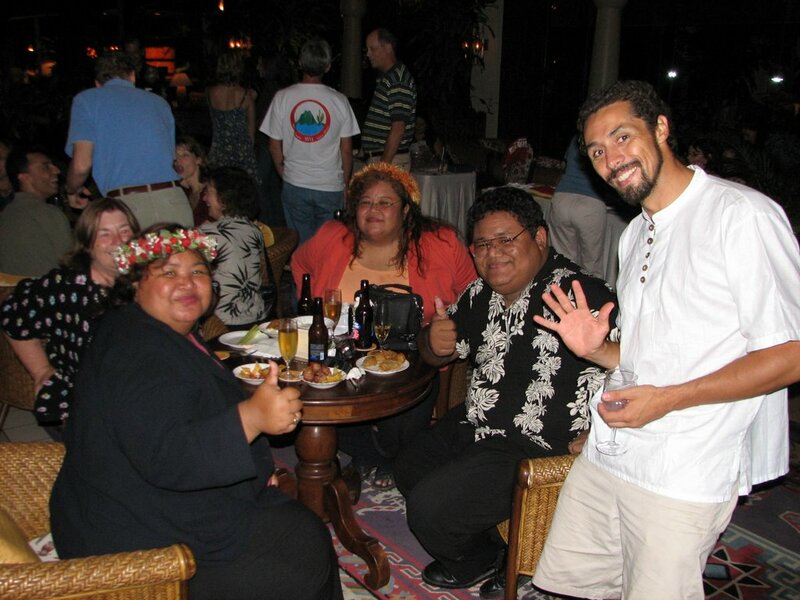 James Davis, who has been on Saipan for 16 years and who owns Davis Translation and Consulting Services on the sixth floor of Nauru Building, served as interpreter when Variety interviewed the Japanese visitors. The director also said that production was to begin early Tuesday morning and they will stay on island until the 30th of the month. His female lead star also said that the movie is “actually a movie about filmmaking.” Davis translated for her and said her role is actually a real actress in the movie and she’s here on Saipan doing a production and having similar questions about her life. “I just like to see more people involved in taking responsibility for cleaning up the island because the tourists are not going to do it for us, no one else is going to do it for us. It is really going to come down to members of the community putting forth their own effort to make sure that when tourists, film crews, and other people come here they have a very good image of the island,” said Davis. The complete list of Japanese actors and actresses who took part in the cleanup is as follows: Ishibashi Tamotsu (lead star), Nakano Hideo (lead star), Endo Kenichi (lead star), Shimizu Akihiro, Amaka Takafumi, Kawamura Aki, Hata Mizuho, Ikeno Hiroko, Morikawa Yui, and Yoshino Megumi. On the other hand, producers Nagumo Chiaki and Takami Nakano brought to Saipan their production crew that includes director Kosuke Suzuki, Inoue Yuusuke, Yamada Akihisa, Ito Nobuhisa, Takahashi Jun, Mizuno Mikiko, Matsushita Izumi, Kimura Akio, Shigematsu Kentaro, Muraki Tsukasa, and Nomoto Koichi. 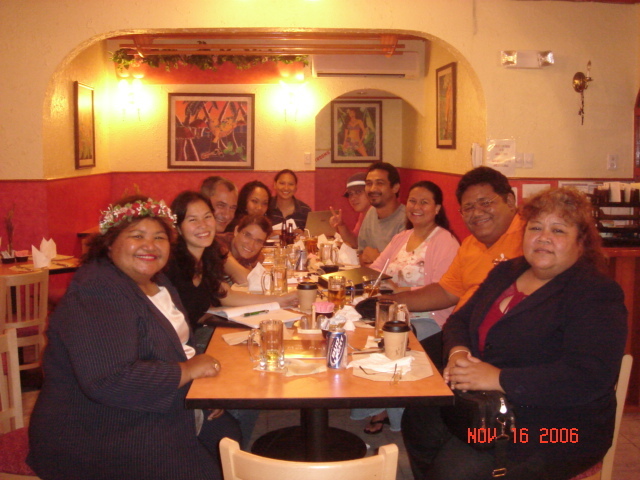 The CNMI Recycles Day Team, at Cafe at the Park -- our last planning meeting before the big day! Students check out DPW's display on solid waste management in the CNMI. Scrapbooking 101 with Elly Stoilova -- neat gift items made from recycled materials! 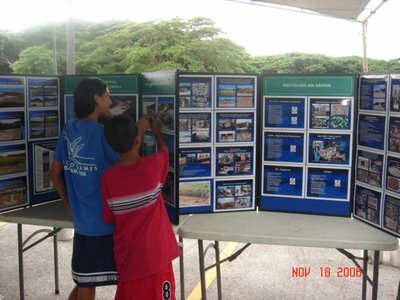 The Northern Marianas Academy, a private school in the Commonwealth, topped this year's CNMI Recycles Day competition. Division of Environmental Quality Waste Reduction and Recycling coordinator Tina Sablan said the school collected a total of 50,380 lbs of recyclable materials. There were 34 NMA students who participated in the contest, bringing in 1,481.8 lbs of trash per student. There were 24 private and public schools that participated in this year's Recycles Day competition. Sablan said the competition based its scores on the recyclable wastes gathered by each student that participated in the competition. The Beautify CNMI!, in collaboration with the DEQ and the Department of Public Works Solid Waste Management, held the culminating activity for the CNMI Recycles Day on Saturday at the Lower Base Transfer Station. 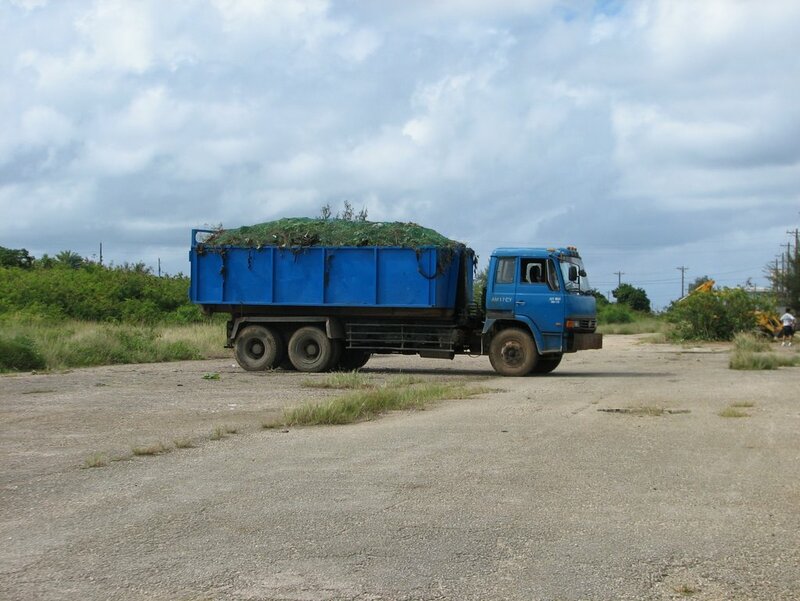 The 200,000 lbs of materials can now be processed and converted into useful products, said Sablan, instead of dumping them all into the CNMI landfill. PIC's Elly Stoilova also put up a booth with two other organizations showcasing environmental awareness. Stoilova showcased arts and crafts made of recyclable materials found in the CNMI. This year's CNMI Recycles Day partners and supporters included Ericco (provided free recycling collection for the schools); Ginen Saipan; Pepsi; Pacific Islands Club; Hotel Nikko Saipan; Hafadai Publishing; Saipan Shipping; MS Villagomez; and Java Joe’s as corporate sponsors. This year's contest committee members were Reina Camacho, Angelo Villagomez, Steve Hiney, Barrett Ristroph, Bree Reynolds, Frank Tudela, Ed Diaz, Stoilova, Ken Kramer; Cinta Kaipat; Absalon Waki, Gus Kaipat, Viola Kaipat, Nina Rivera, Marites Castillo, Merced Ada, and Sablan. There is a Japanese movie company on Saipan this week. They are filming a movie called Memory of the Seashore. The guy in the middle wearing red shorts and a white hat is famous. Any idea who he is? These girls are the top three finalists in the Ms. Saipan contest. Out of the hundreds of original contestants, as part of being in the final three they get roles in the movie. Only one girl gets the title of Ms. Saipan, though. Even so, no matter who wins, they're all winners in my book. So why did we get to meet these cool people? Because they heard of Beautify CNMI and wanted to pitch in! Heck yeah! How awesome is that? 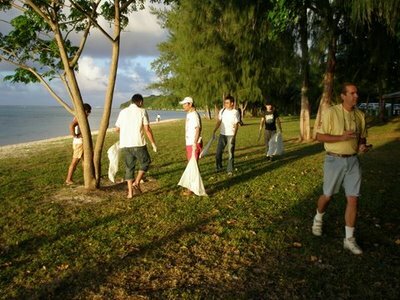 This afternoon they went straight from arriving at the airport to a cleanup at Paupau Beach. The beach was actually already pretty clean, so there wasn't much cleaning up to do. We gave them T-shirts and stickers after we took approximately 4.6 million pictures together. They'll be filming around the island all week. 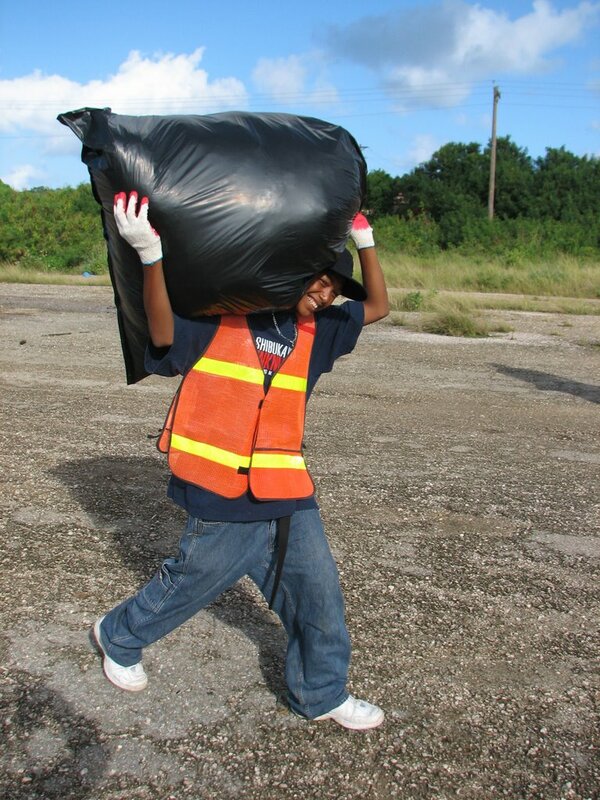 Keep an eye out for them and thank them for helping us make our island beautiful! 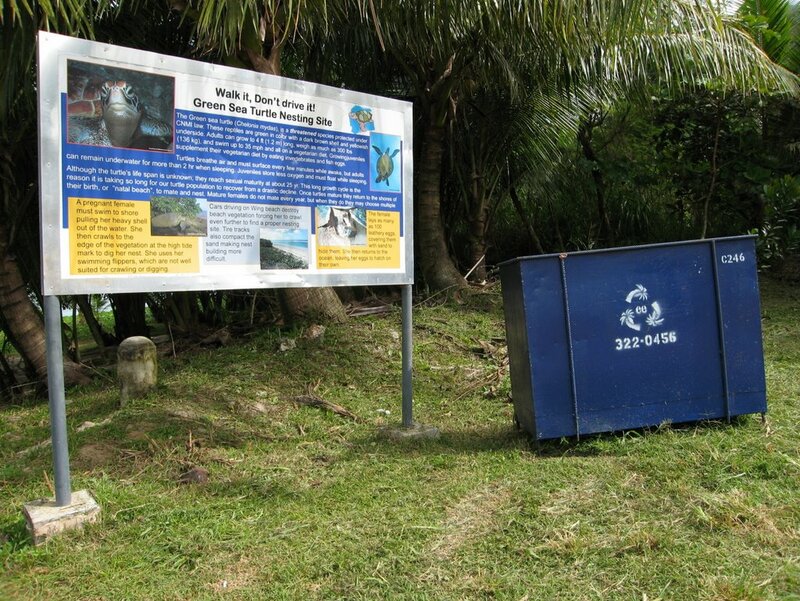 Mariana Islands Nature Alliance (MINA) has adopted Wing Beach as part of Beautify CNMI! and DEQ's Adopt-a-Beach program. They clean up the beach on the third Saturday of every month. November 2006 was the fifth month of consecutive cleanups. Wing Beach is one of Saipan's hidden jewels. It is on the north end of the island, just past Marianas Resort. Heading north along the road to Marpi, there is a boonie road on the left hand side called Wing Beach Road. 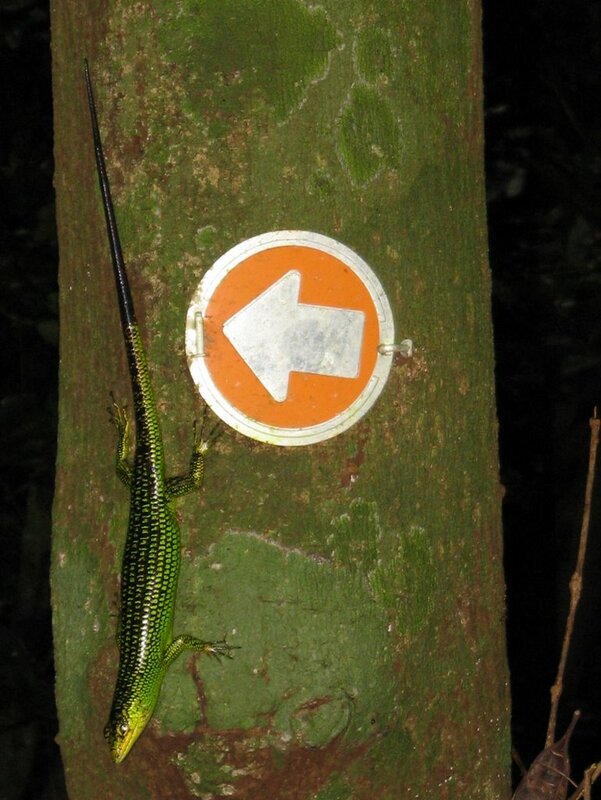 Follow it to get to either one of the two Wing Beach entrances. The more popular beach entrance is at the end of the road. That is where tourists swim out of a naturally occurring channel to go diving. It is also where a lot of locals bbq on the weekends. As part of their beach adoption, MINA is paying for weekly trash pickup at Wing Beach. They secured a donation to cover the cost of pickup for one year. The trash container can be found next to the "Walk It, Don't Drive It" sign at the end of the boonie road. A few years back, Coastal Resource Management Office blocked off vehicular traffic to Wing Beach and put up these educational signs. Driving on the beach drips oil on and impacts the sand, kills vegetation, and increases erosion rates. Vehicles can also crush turtle eggs buried in the sand. Sea turtles are a culturally important species for locals and an economically important species for the local dive industry. Managing this resource by banning vehicular traffic plays an important part in protecting our local heritage and economy. It took literally three months of cleanups and the institution of regular trash pickups to get the litter problem under control at Wing Beach. In October 2006, the fourth month of MINA's adoption, the amount of litter on the beach was almost zero. This allowed MINA to start cleaning up the road leading into Wing Beach. They cut the overgrown grass and removed litter that had been hidden along the side of the road for years. In November 2006, with the litter problem on the beach and along the road under control, MINA, under the supervision of CNMI Forestry, started to remove invasive vine species. They also started planting native forest species along the shoreline to replace the non-native tangan tangan. 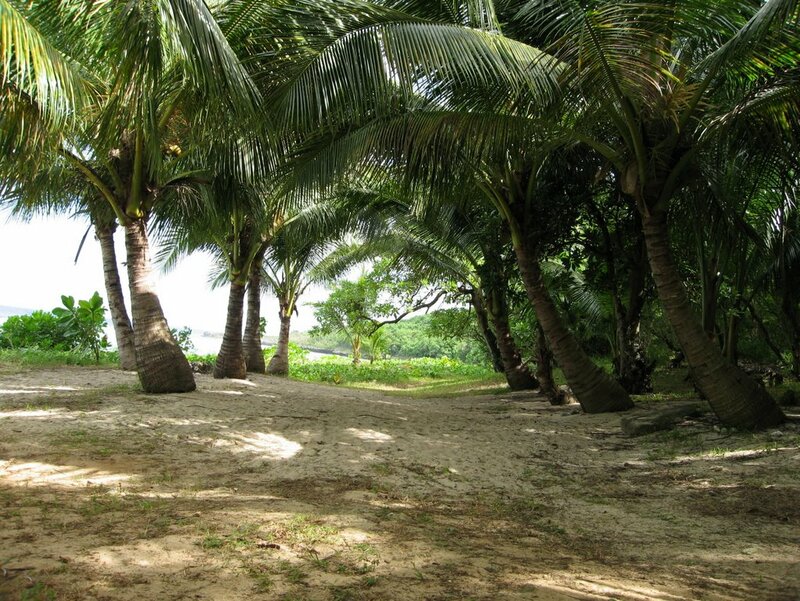 Wing Beach is well on its way in becoming one of the nicest beaches in all of Micronesia. Thanks to MINA, it is also definitely now the cleanest. MINA did not accomplish this alone. 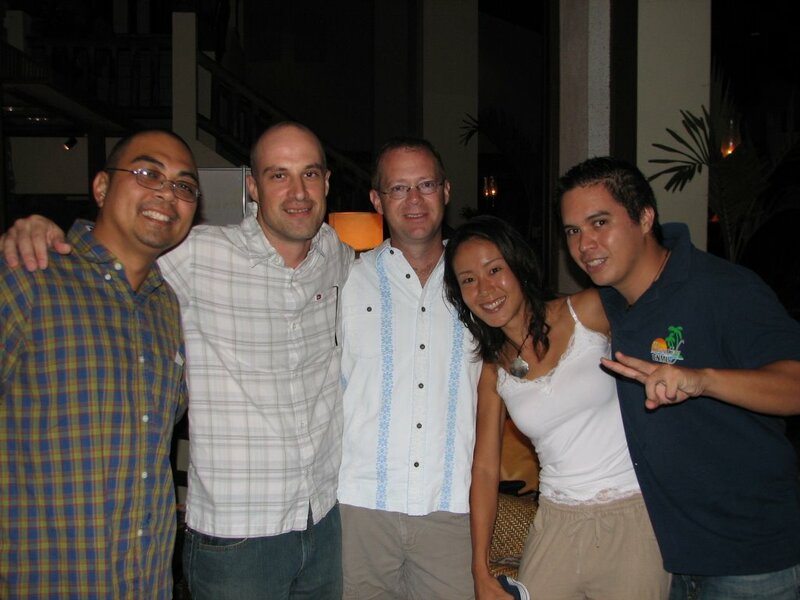 Although they were the original adoptees of Wing Beach, they have since been joined by Marianas Resort as co-adoptees. 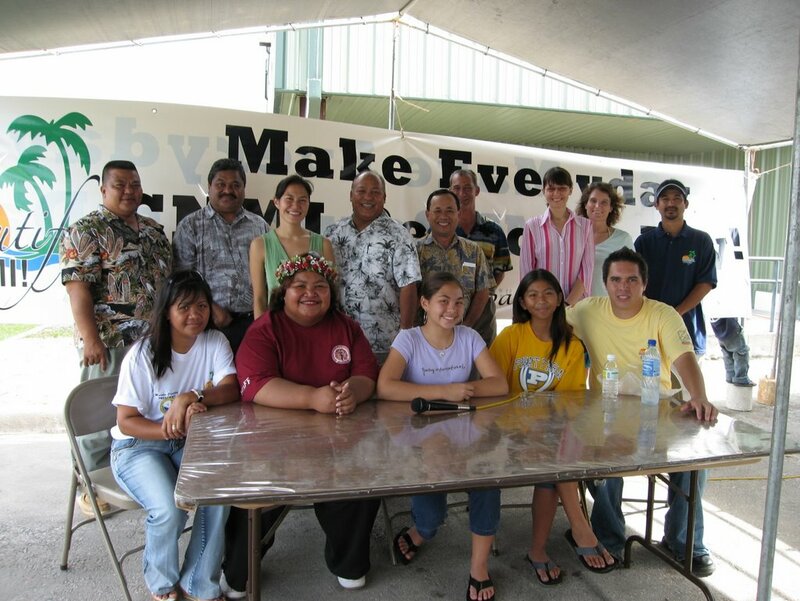 Also, over the course of five months, they have recruited volunteer help from the Marianas Resource Conservation & Development Council, Church of Latter-day Saints, Saipan Grand Hotel, Top Fashion, Saipan Southern High School, Marianas High School, Representative Cinta Kaipat's Office, CNMI Forestry and Marianas Visitors Authority. 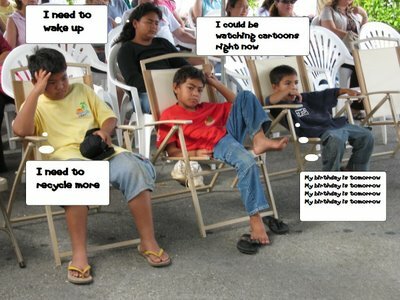 It is the hope of Beautify CNMI! that other adopting groups can replicate MINA's success at other locations throughout the CNMI. 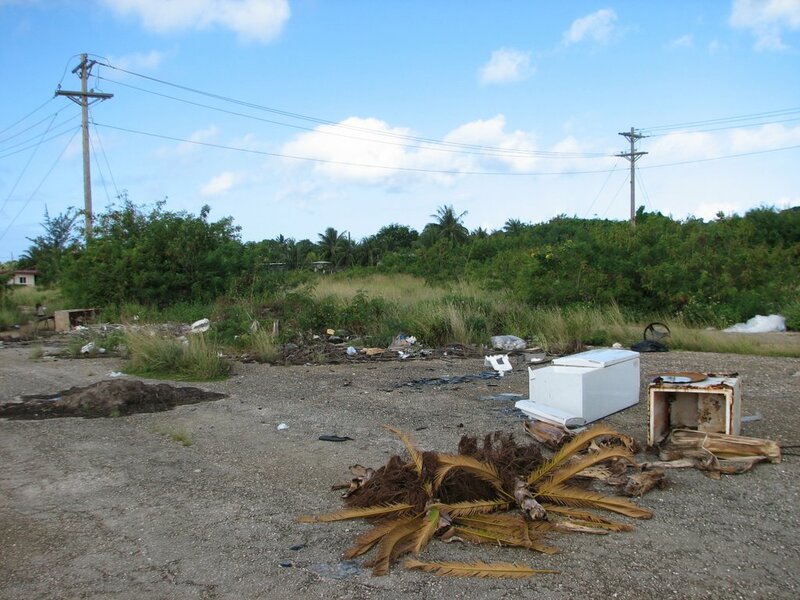 The most pressing issue at most locations around our islands is the litter problem. As MINA has demonstrated, it can take several months just to get this problem under control. But once the litter problem is under control, that will allow the adopting groups to tackle other problems, like habitat restoration, erosion, and runoff. Nobody likes picking up other people's trash, but it is the first step in making these islands a better place to live and visit. If you would like more information on Adopt-a-Beach, please contact Reina Camacho at DEQ, 664-8500. If you would like more information on Adopt-a-Road, please contact Frank Tudela at MVA, 664-3200. THE forestry division of the Department of Land and Natural Resources will plant more native trees along Wing Beach in Tanapag on Saipan. 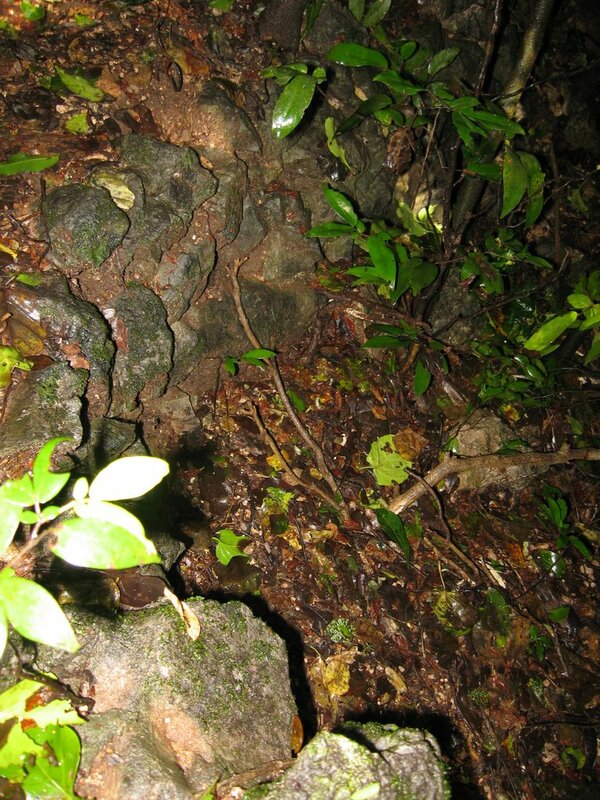 The activity is part of the joint efforts of DLNR, Beautify CNMI! and the Mariana Islands Nature Alliance in rehabilitating the island’s coastal areas. 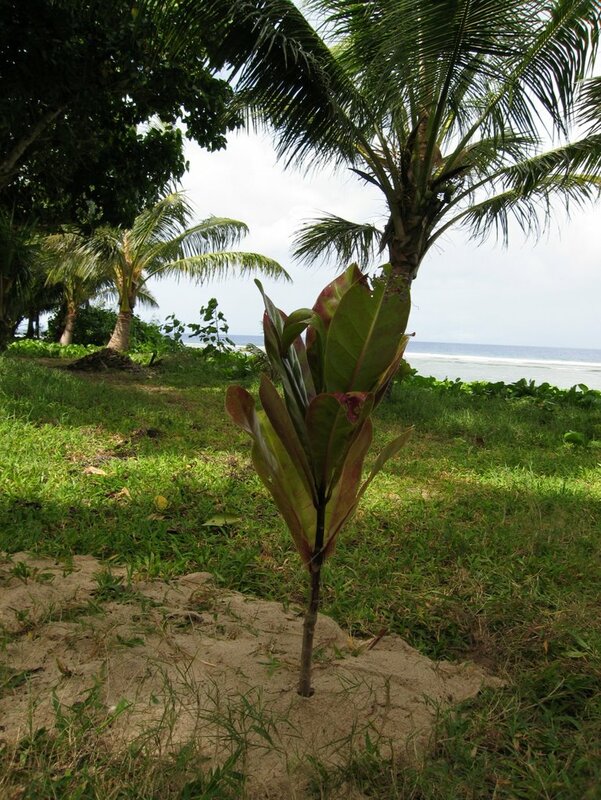 On Saturday, DLNR-forestry will plant nonak, panalo, putting, breadfruit and daok trees along the roadway. MINA secretary Kathy Yuknavage said the plants are all native to the Marianas and beneficial to wildlife species. MINA volunteers are among those who will take part in the tree planting activity. The group aims to create a wildlife habitat in the area. 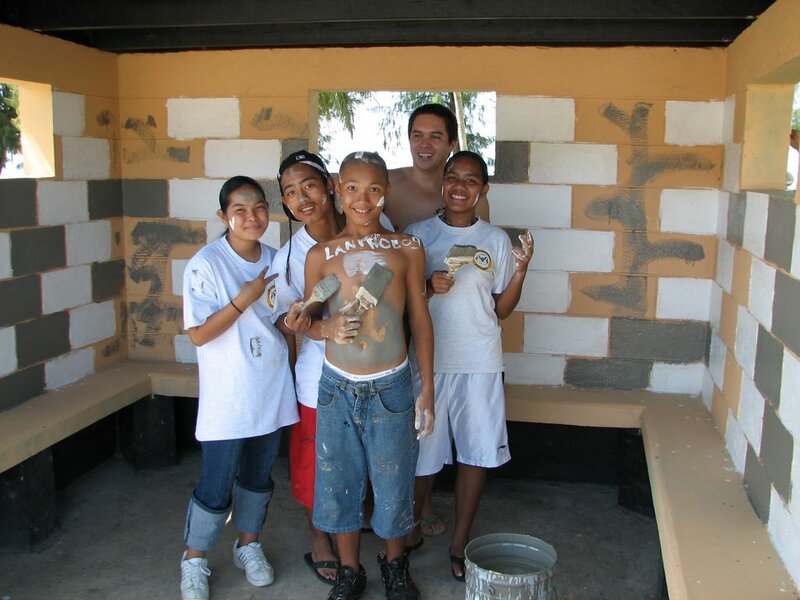 Joining the volunteers on Saturday are staffers of the Marianas Resort. MINA, with the help of the Coastal Resource Management Office and other government agencies, has been able to start the rehabilitation of Obyan Beach located on the southern coast of the island. 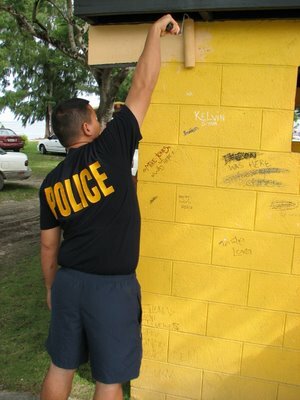 On a brighter note, two worthy causes have joined hands - Crime Stoppers has offered to work with Beautify CNMI! in making its anonymous 24-hour call-in service available for reporting not only theft, burglary, shootings and the like, but environmental crimes as well - such as illegal dumping, illegal fishing, illegal waste oil disposal, etc. Anyone seeing any kind of crime being committed, or having knowledge of one, can now call a single number - 234-7272 - at any time of day or night, to anonymously report the crime. Beautify CNMI! 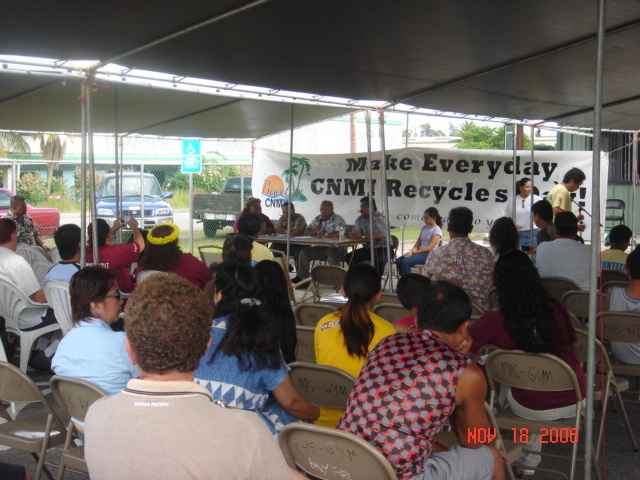 invites the community to join the CNMI Recycles Day festivities this Saturday, Nov 18, 9am, @ the Lower Base Transfer Station. Come and celebrate the phenomenal efforts of our schools, our families, and our businesses whose combined efforts during the two-month contest resulted in the collection of over 260,000 lbs (that's over a quarter million!) of recyclable cardboard, paper, glass, plastic, and metals. That's 200,000 pounds of materials that can now be processed and converted into useful products, NOT dumped in our landfill. The CNMI Recycles Day celebration will kick off at 9am with a Proclamation signing by the Acting Governor, and will also include educational exhibits, hands-on demonstrations and games, great entertainment, and tours of the Transfer Station. The event is free and open to the community; light refreshments will be served. A while back a few students from Manta Ray Battalion Alpha Company at Saipan Southern High School contacted Beautify CNMI! for some assistance with a service learning project. There is an old airstrip next to SSHS that the students use for their PE classes and JROTC training. 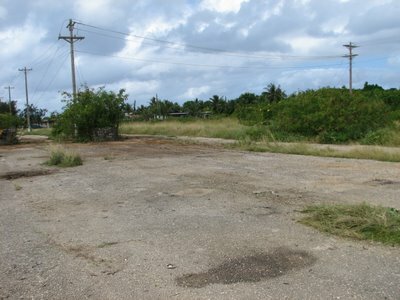 People have been using this airstrip as a private (and illegal) dump for years. The students wanted to clean this up so that the next time they go for a run, they're not jumping over used diapers, butane cannisters, and other assorted household garbage. Can you spot the difference? That's right! The sky is bluer in the first picture! Oh yeah, the garbage is missing in the second picture, too. That grassy looking stuff in the middle of the first picture? That wasn't grass. That was a pile of garbage with grass growing on top. We should know later today what the total weight was. Yesterday, while we waited for the dumpster containing the first load to be emptied and brought back, we bagged and piled up trash in the center of the airstrip. It just needs to be thrown in the dumpster and taken to the landfill. The first load weighed 10,900 lbs. 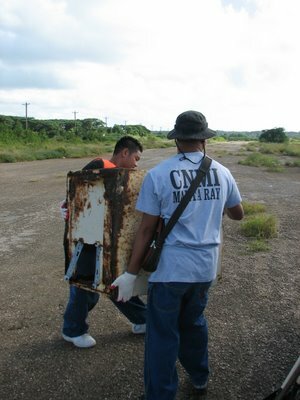 Some of Beautify CNMI's partners are going to finish up what the students couldn't finish yesterday and report back on the weight, but it is probably safe to assume that the second load will weigh about the same as the first. That would put us at about 20,000 pounds of trash in four hours...and we hardly put a dent in the place. The SSHS students have adopted this site as part of Beautify CNMI's adopt a spot program. With our assisstance, they are going to go out there once a month to clean the area up. I am really proud of these kids. They came to us for help because they wanted to have a safe, clean, and healthy place to exercise. Even so, while it is encouraging that these kids are so civic minded, it is a shame that we have to rely on the children in our community to pick up after the adults. Mylene is a student at Hopwood Junior High School. 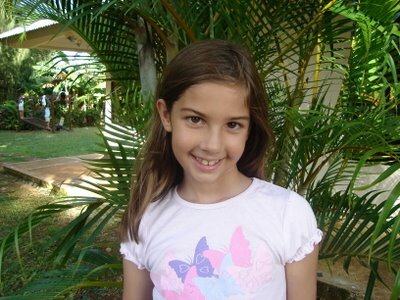 I first met her this summer when I took her and several other students from her summer camp on a field trip to the Laulau Revegetation Project. After learning about watersheds, erosion, and our land use practices, Mylene and the other students helped remove 440 lbs of trash dumped in one of the streams draining the Laulau Watershed. 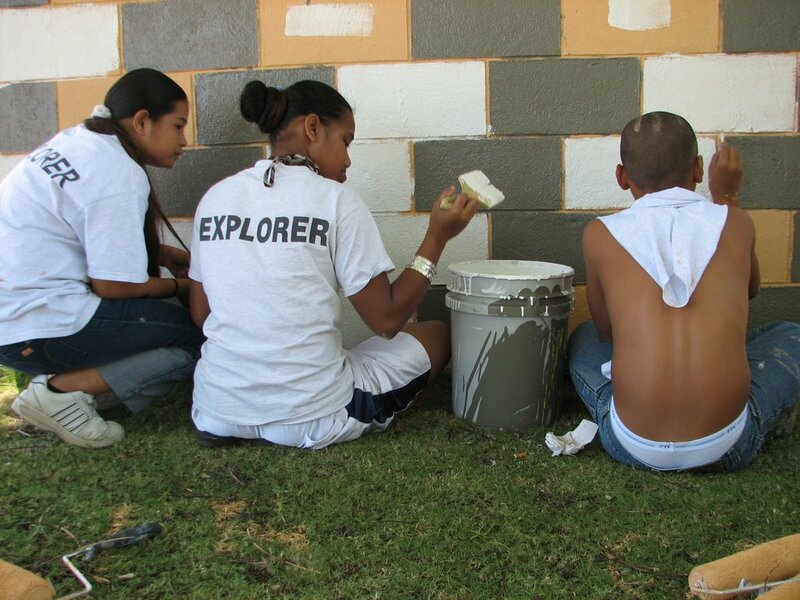 This week Mylene has been helping Beautify CNMI! recruit Myspace friends at her school. While adults tend to use email and telephones to communicate, the younger generation uses Myspace and text messaging. Having a large presence on Myspace will allow Beautify CNMI! to reach these kids. The Volunteer of the Week is announced every Tuesday afternoon. SOME consider it a big challenge. Beautify CNMI! calls it a big opportunity. Rep. Cinta Kaipat-Covenant Saipan and one of the group’s leading lights, said although everyone on island agrees that it has to be kept green and clean, most believe that the government does not enough money or manpower to do it. 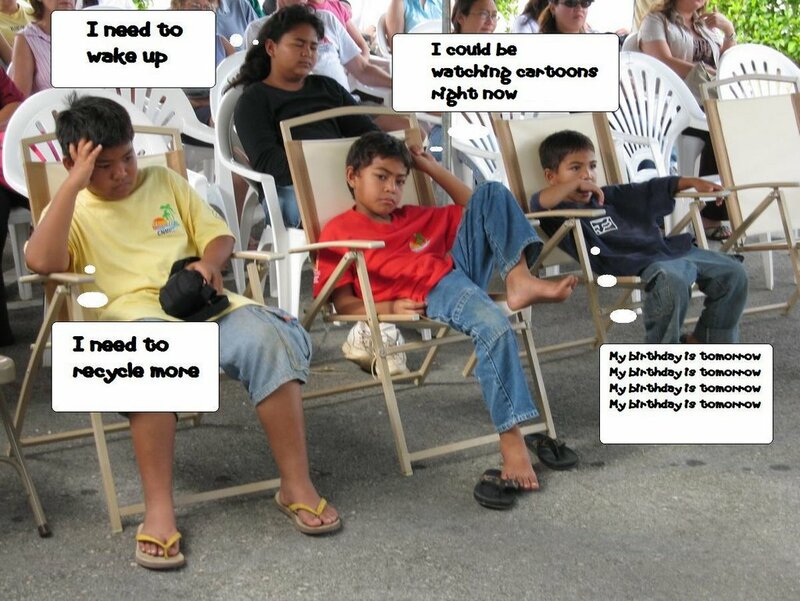 This is precisely the “excuse” that motivates Beautify CNMI!, she said. “We want to prove that there are still a lot of things that can be done despite our limited resources,” she added. “If we volunteer then we can overcome the lack of manpower and the lack of funding,” Kaipat said. She said Beautify CNMI! 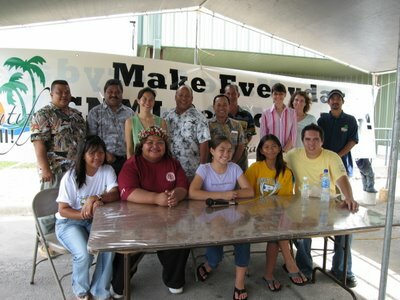 was created to draw people together to act as one in making the island a better place to live. The idea for the group came to her while discussing an off-island article written about the Mariana islands. 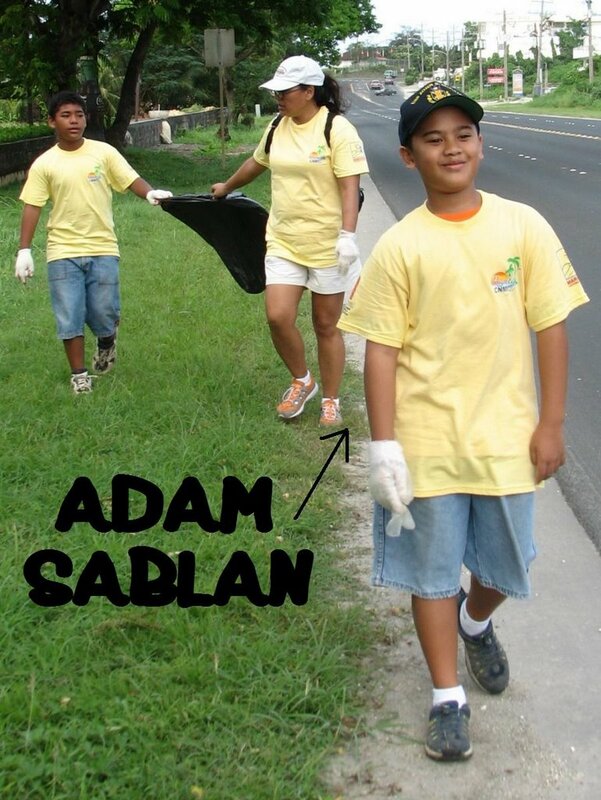 She said she knew there were a lot of residents who share her vision of beautifying Saipan through volunteerism. Among the other “green-minded” people she knows is the Division of Environmental Quality’s Tina Sablan whom she had seen going out year after year on cleanup drives with volunteer groups like MOVER. 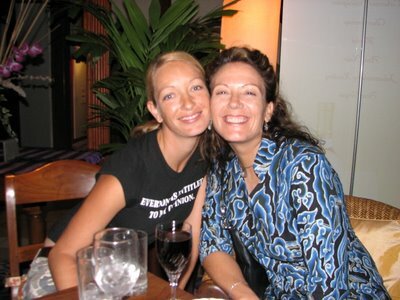 “She was the person I had in mind — someone whom I would like to get involved in it. 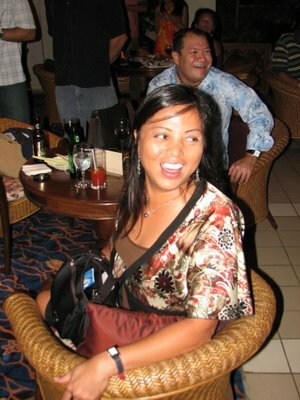 Tina Sablan was then busy working on a recycling project,” Kaipat recalled. Kaipat went to see Sablan, other DEQ personnel and representatives from the Saipan Mayor’s Office to discuss her vision for Beautify CNMI! “We just started talking about what it was that we wanted, so I got up and said, ‘I would like the government and people in the community to come together and do something under a simple concept’ — and that is, all of us should take responsibility because we can’t always rely on the government to do everything,” she said. Kaipat recalled that the plan was discussed further in more meetings, which also led to the creation of a restoration committee headed by Angelo Villagomez. 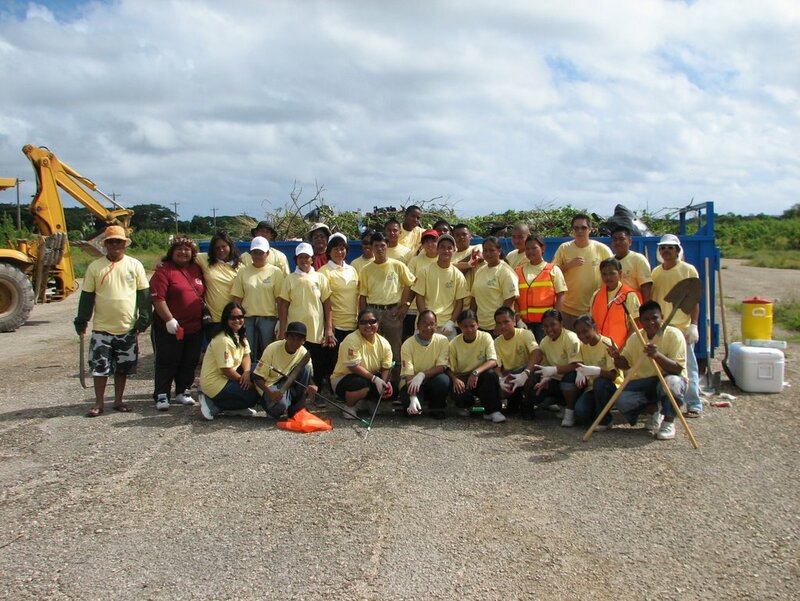 Beautify CNMI!’s first activity was recycling and it was followed by the planting of flame trees along Beach Road. And the rest is history that continues to be made. When you do these three steps, I'll tell you where to pick up your shirt. The first 20 people get a bumper sticker, too. 12 Groups have adopted "spots" as part of Beautify CNMI's Adopt-a-Road and Adopt-a-Beach program. The two stand outs of this ever growing group of groups are MINA and MOVER. MINA has adopted Wing Beach. In four short months they have reduced the litter on the beach to almost zero. In addition to monthly cleanups, they are also paying for a dumpster in the beach parking lot, which is emptied weekly. MOVER (soon to be the Friends of the Mariana Islands) stands out because they have adopted four spots: the Garapan Tourist District, South Laulau, North Laulau, and the road in Dan Dan between NMC and San Vicente Elementary. Today was the first time they cleaned up the road in Dan Dan. It was also the first day we had an event while wearing our fancy new T-shirts! The T-shirts were donated by MVA and Island Apparel. We've been promising the MOVER volunteers T-shirts for about 5 months. We finally delivered! Bag-o-aluminum cans. We found the usual stuff along the side of the road. We don't usually find a lot of aluminum cans when we clean the beaches, but now that we've been cleaning the roads for a few weeks, I can say with some authority that there are lot of cans on the side of the road. Here we all are modeling our new shirts. We filled up yet another pickup truck with garbage. It is amazing how a street with seemingly no trash yields so much trash. Today we took a graffiti covered bus stop and painted it using left over paint from 1020 on 10/20 that was donated by Sherwin Williams and Transamerica. We had two cops, seven LEEP students, and Nina, one of our super volunteers, participate. We gave the bus stop two coats. Putting the primer on was the easy part. The final coat would prove to be more difficult. While the first coat dried the students participated in a beach cleanup. The officers made them line up, then they walked along the beach picking up trash. Effective, ne? This part of the beach is pretty well taken care of by the Division of Parks & Recreation, so there actually wasn't much trash to pick up. Oh well, we'll have plenty of opportunities to pull illegally dumped washing machines out of streams. When the first coat was dry we came back to apply the final coat of paint. 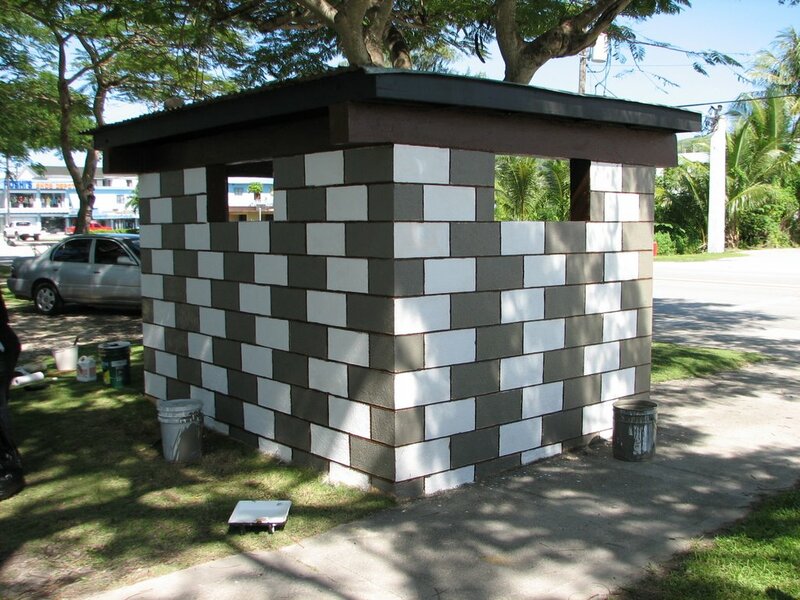 We decided that we wanted the bus stop to stand out from the other bus stops on Saipan, so we opted for a grey and white checkerboard pattern with brown lines. I don't remember exactly how long it took for the kids to start painting each other, but it wasn't very long. I even got in on the action. The above picture was taken about half a second after I gave Pua a white mohawk across the middle of his head. Well, what do you think of our work? Looks pretty good, huh? The MINA fundraiser was a great success this evening! I didn't get a final count, but it looked like over 100 people attended. 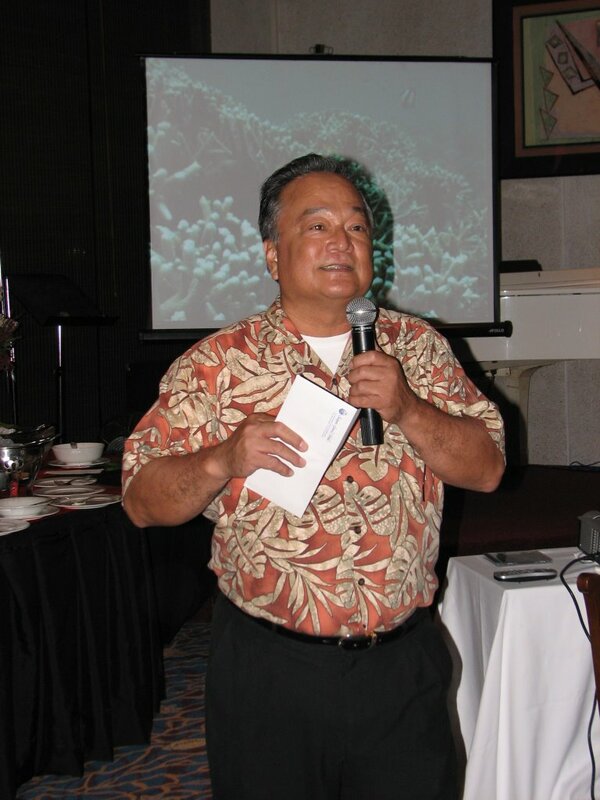 The guests were treated to Mike Tripp's new DVD showcasing several dive sites around Saipan and appetizers prepared by Aqua Resort. Aqua Resort was very generous in hosting the event. The proceeds of the entrace fee and 50% of the happy hour drink sales were donated to MINA to support thier environmental programs. MINA also had T-shirts, DVDs, and cards for sale. 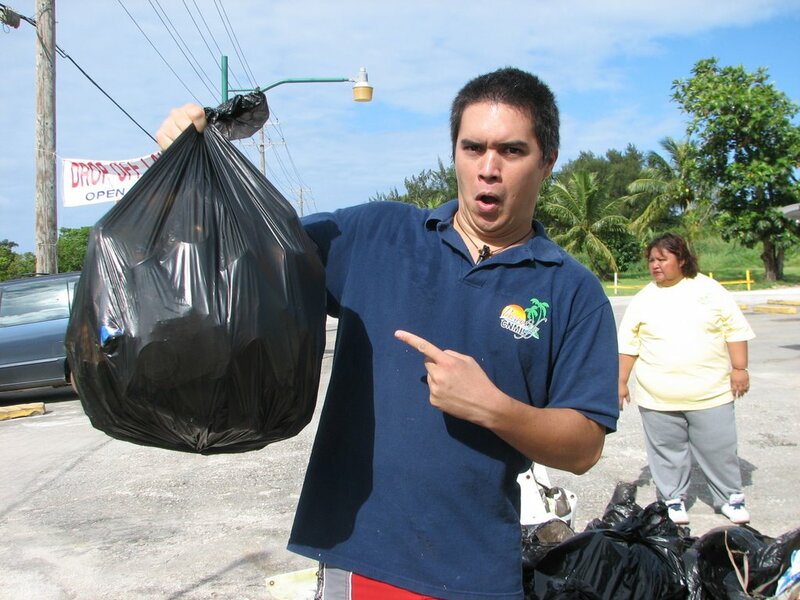 MVA and Island Apparel paid for the Beautify CNMI! shirts, MINA paid for the MINA shirts, Mike Tripp provided the DVDs, and the underwater photography on the cards were by Erica Cochrane. Several door prizes were given out to about a dozen lucky winners. 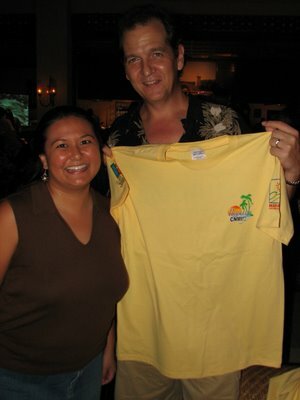 In addition to the T-shirts, DVDs, and cards, gift certificates were also provided by Aqua Resort and Saipan Grand Hotel. Thank you, donors! Ted Parker was the lucky winner of the very first official Beautify CNMI! T-shirt. Ted participates in all of the MINA Wing Beach cleanups and also participated in the Laderan Tanke cleanup. Thank you to everyone who bought a ticket and attended! 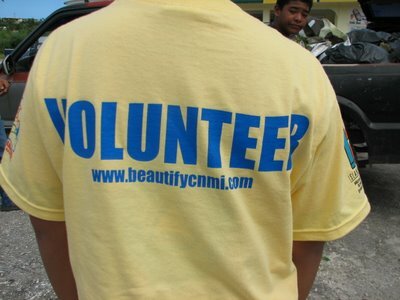 Mariana Islands Nature Alliance (MINA) is a proud partner of Beautify CNMI! As one of their projects, on the third Saturday of every month the members clean up Wing Beach. They also PAY for weekly trash collection. Their efforts have resulted in a drastic drop in the amount of trash on the beach. With the exception of the beaches fronting the hotels, Wing Beach is now the cleanest beach on Saipan, thanks to the scores of volunteers donating just a few hours a month and a small donation to pay for a year's worth of trash pickup. MINA intends to extend this project to two more beaches in the near future. They also have several other projects, such as the turtle nesting site improvements at Obyan Beach and creating and maintaining an environmental hotline for the CNMI. These projects need funding and MINA has effectively demonstrated that they can make a few dollars go a very long way. It only costs MINA a few hundred dollars to maintain Wing Beach for a year. Please support MINA by purchasing a ticket to their fundraiser taking place this Friday (see message below). Tickets are $10 and can be purchased by contacting any board member or emailing board@minapacific.org. If you would like to purchase tickets online, you can donate to MINA through the Beautify CNMI! website, just click on the MAKE A DONATION button. When you purchase a ticket (or several! ), I will forward your name to MINA to have you included on the guest list. All proceeds will go towards MINA's environmental programs. Even if you can't make it on Friday, please consider purchasing a few tickets. Like I said, MINA will put your money to good use. Join MINA this Friday at Aqua Resort for an evening of multimedia celebrating the beauty and diversity of our island environment. For more information and tickets please email board@minapacific.org.